A delegation comprising members of parliament, business representatives and academicians under the leadership of H.E. Professor Dr. Anton Caragea, Director of Institute of International Relations and Economic Cooperation held a dialogue with H.E. Kim Son Gyong, Ambassador of Democratic People’s Republic of Korea on the topics of expending cultural, economic and diplomatic cooperation between Democratic People’s Republic of Korea and Romania. 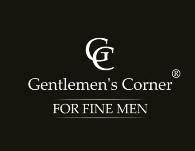 In the opening of 12 April 2014 meeting H.E. Kim Son Gyong, Ambassador of Democratic People’s Republic of Korea had made an exhaustive presentation of the political, cultural and economic developments in his country, presented also plans for future economic constructions in his country and of his country cooperation with all the nations of the world and intensive development of cultural relations. 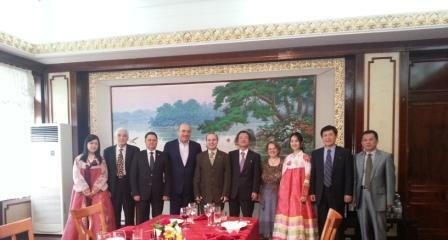 Professor Dr. Anton Caragea had conveyed on behalf of Romanian delegation his massage of congratulation for the recent elections held in Democratic People’s Republic of Korea for the election of Supreme People Assembly. The discussion, held in an amicable atmosphere, where sincere and honest, the Romanian delegation showing their interest in developing economic, cultural and political cooperation between Romania and DPR Korea. 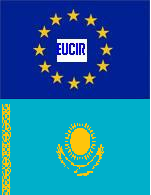 A special accent was placed on the historical bases of the relations between our countries as a strong fundament for future development of the amicable friendship between the two nations. A special banquet concluded the discussions and presented to the guest`s the special sinsollo cuisine-highly prized and considered as the best food of Asia and receiver of the golden prize at the Beijing Culinary Contest. On 4 March, 2014 a protocol meeting, on the occasion of the opening of Montenegro Embassy to Romania, was held between Prof. Dr. Anton Caragea, Director of Institute of International Relations and Economic Cooperation and H.E. Milan R. Begovic, Ambassador of Montenegro. Prof.Dr. Anton Caragea express his full heartedly congratulation for the opening of Montenegro Embassy to Romania and assessed that Montenegro could be an important economic and political partner to foster the dialogue between Romania and West Balkans and it was the time to amplify the diplomatic dialogue in order to sustain a development in economic, trade and touristic exchanges between the two countries, stated Professor Dr. Anton Caragea. The Romania- Montenegro relationship has the ability to become an example of building an economic and cultural exchange area between Romania and West Balkans region. Now it is an auspicious moment to promote economic exchanges, to fully exploit touristic potential of Montenegro, to encourage economic investment and to create a bilateral Business Council, all this being objectives established by the political authorities in the two countries, concluded Professor Dr. Anton Caragea. The fact that there is a clearly manifested political will in the support of this bilateral agenda is a joyful fact, observed by all the parties. H.E. Ambassador Milan R. Begovic had expressed his appreciation for the encouragement`s offered by Prof.Dr.Anton Caragea and had stated that the vision of a economic, politic and cultural special relationship between Romanian and Montenegro is a common shared vision. The main topics had concentrated on increasing the bilateral trade volume, promoting economic investments, developing the legal framework for economic activities and expanding tourist liaisons and fully exploiting Montenegro special tourist potential, launching the bilateral cultural exchanges etc. 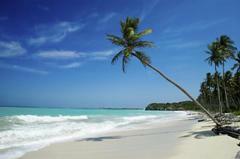 The dialogue had concluded in an open and amicable atmosphere. On 30 January 2014, the taking office protocol and presentation meeting between Prof. Dr. Anton Caragea, Director of Institute of International Relations and Economic Cooperation and H.E. 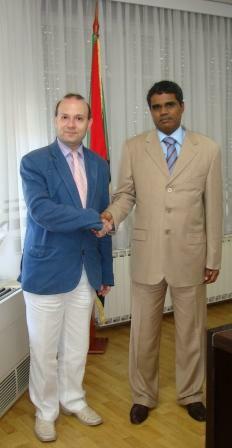 Okechukwu F. Muoh, Ambassador of Federal Republic of Nigeria in Romania had taken place. Prof. Dr. Anton Caragea express his heart felted congratulation on the occasion of beginning of mandate of Mr. Okechukwu F. Muoh, appreciating that between Romanian and Nigeria there is a long and positive history of cultural, economic and political cooperation and a large area of common interests , designed to forge a good understanding between the two nations . The Romania- Nigeria relationship needs an overhaul and a rapid intensification in the field of economic and cultural exchange areas, creating a better perception of Nigeria in Romanian society, remarked Professor Anton Caragea. 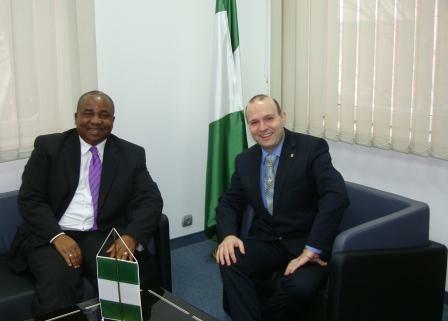 Now it is an auspicious moment for reconstructing and rebuilding the framework of dialogue and friendship between Romania and Nigeria and bolstering knowledge, information and the presence of Nigeria in Romania mass media and diplomatic and economic community is a task of paramount importance for Nigeria concluded Professor Anton Caragea. H.E. Okechukwu F. Muoh had expressed his satisfaction and appreciation for the encouragement`s offered by Prof. Dr. Anton Caragea and had stated that the vision of a economic, politic and cultural special relationship between Nigeria and Romania is a common shared vision. This year is especially important for the image of Nigeria as the country wants to held a bilateral economic forum with Romania and is intending to boost bilateral cultural and parliamentary relations in 2014 stated Ambassador Okechukwu F. Muoh. The main area of bilateral cooperation could be economy and culture for the next period, appreciated Ambassador Okechukwu F. Muoh. The dialogue had continued on exploring concrete sphere of economic activity interesting for both countries such as tourism cooperation, creating honorary consulate offices of Nigeria in Romania, building bilateral Romania –Nigeria business councils where highlighted as main topics of the common agenda. During the meeting where tabled also different aspects and analyses of economic, political and cultural bilateral relations and on ways of fostering this dialogue on to the future. The amicable dialogue concentrated also on the possibility of a Romania-Nigeria Economic Forum and a series of informational and political events destined to mark Nigerian economic and political advance in the African region. The comprehensive dialogue led the foundations of a successful diplomatic mandate and fostering the relations between Romanian and Nigeria and constitutes a promise for re-launching a traditional Romanian diplomatic action towards Nigeria. On 8 July 2013 the taking office protocol meeting between Prof.Dr.Anton Caragea, Director of Institute of International Relations and Economic Cooperation and H.E. 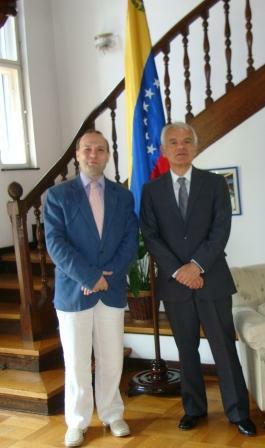 Victor R.Carazo, Ambassador of Bolivarian Republic of Venezuela had taken place. 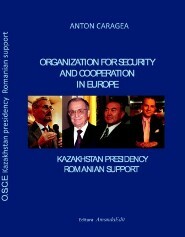 Prof.Dr.Anton Caragea express his heartfealted congratulation on the occasion of beginning of mandate of H.E. Victor R.Carazo, appreciating that between Romanian and Venezuela there is a large area of common interests , designed to forge a good understanding between the two nations . 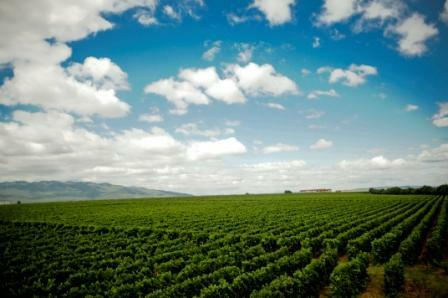 The Romania- Venezuela relationship must be an example for a better relation between Romania and Latin America. If in the last decade the bilateral dialogue with this area was faltering, in the last period this become once again active and now it is an auspicious moment for reconstructing and rebuilding this framework of dialogue and friendship. H.E. Mr. Victor R.Carazo had expressed here appreciation for the encouragement`s offered by Prof.Dr.Anton Caragea and had stated that the vision of a economic, politic and cultural special relationship between Romanian and Venezuela is a shared vision. The dialogue led the foundations of a successful diplomatic mandate and fostering the relations between Romanian and Venezuela and constitutes a promise for re-launching a Romanian diplomatic action towards Latin America in the nearest future. On 9 July 2013 the taking office, protocol meeting, between Prof. Dr. Anton Caragea, Director of Institute of International Relations and Economic Cooperation and H.E. Mohamed Eltayeb Gasmalla, Ambassador of Republic of Sudan, had taken place. 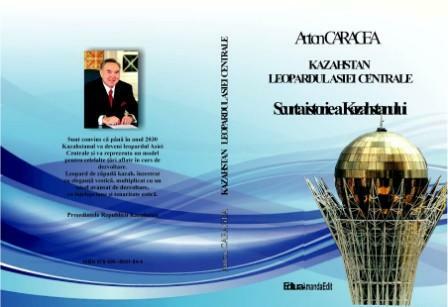 Prof. Dr. Anton Caragea express his heart felted congratulation on the occasion of beginning of mandate of H.E. Mohamed Eltayeb Gasmalla and stated that Sudan has the potential to be the main trading partner for Romania in the North Africa area. Professor Dr. Anton Caragea had also appreciated that between Romanian and Sudan there are large areas of common interests such as: oil exploitation, land improvement operation, education and an open and substantial political dialogue. If in the last time the bilateral dialogue had stagnated now we have to overcome this situation and search for new cooperation horizons. H.E. Mohamed Eltayeb Gasmalla had expressed his appreciation for the encouragement`s offered by Prof. Dr. Anton Caragea and had stated that the Sudanese assessment is similar: the development of the bilateral relation with Romania and the expansion of bilateral cooperation is welcomed and a priority in his mandate. The dialogue led the foundations of a successful diplomatic mandate and charted the ways for a rapid growing bilateral relation. On 10 June, 2013 a friendly and cooperation meeting between Prof. Dr. Anton Caragea, Director of Institute of International Relations and Economic Cooperation and H.E. Abdulrahman Al Rassi, Ambassador of Kingdom of Saudi Arabia had taken place. Prof. Dr. Anton Caragea expressed his amicable fillings and friendly interest towards the recent evolution`s in Kingdom of Saudi Arabia. The Kingdom is playing an instrumental role in promoting cultural and economic development in the Middle East area. Also Romania is witnessing with sympathy and interest the latest evolution from Saudi Arabia, including the government measures for consolidating the economic development and creating a diversified economy and the decision to foster social inclusion and cultural development in the Kingdom. Romania is and it will always be ready to build a special and stable relation with the Kingdom of Saudi Arabia, a relation based on the community of interests in the economic, politic and cultural areas, concluded Professor Dr. Anton Caragea. H.E. Ambassador Abdulrahman Al Rassi had express his appreciation for the encouragements received and for the amicable atmosphere registered amongst Romanian people towards the culture and civilization of Saudi Arabia. On this solid foundation we can consider an extension of the cultural dimension of bilateral relation and in building new bridges of dialogue between Romania and Kingdom of Saudi Arabia. The parties had appreciated that between Romanian and Kingdom of Saudi Arabia there are large area of common interests, designed to forge a good understanding between the two nations. An increase in the presence of Kingdom of Saudi Arabia related news in Romanian mass media and informational market and a better reflection of his specific culture to Romanian public and the presence of an academic message of support where also tabled at the meeting. The discussion led the foundations for continuing the dialogue and fostering the relations between Romania and Kingdom of Saudi Arabia. On 31 May, 2013 a friendly meeting between Prof. Dr. Anton Caragea, Director of Institute of International Relations and Economic Cooperation and H.E. Raymundo Magno, Ambassador of Federal Republic of Brazil had taken place. Prof.Dr. Anton Caragea express his assessment that Brazil could be an important economic and political partner for dialogue between Romania in South America region and highlighted also the marking of 85 years of bilateral diplomatic relations as an important moments in bilateral diplomatic calendar, stated Professor Dr. Anton Caragea. The Romania- Brazil relationship has the ability to become an example of building an economic and cultural exchange area between Romania and South America region. 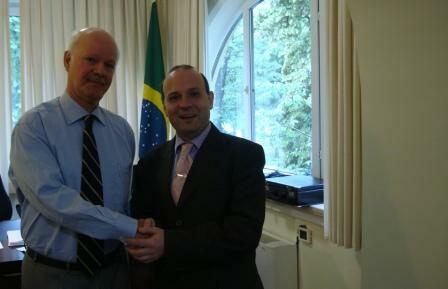 Now it is an auspicious moment for reconstructing and rebuilding this framework of dialogue and friendship between Romania and Brazil stated Professor Dr. Anton Caragea, as the level of bilateral expectations is greater and the political and economic will for this favorable expansion of activities is clearly marked. H.E. Ambassador Raymundo Magno had expressed his appreciation for the encouragement`s offered by Prof.Dr.Anton Caragea and had stated that the vision of a economic, politic and cultural special relationship between Romanian and Brazil is a common shared vision. The main topics had concentrated on increasing the bilateral trade volume, promoting economic investments, developing the legal framework for economic activities and expanding tourist liaisons and fully exploiting Brazil special tourist potential, re-launching the cultural exchanges and preparing events for marking 85 anniversary of bilateral diplomatic relations. 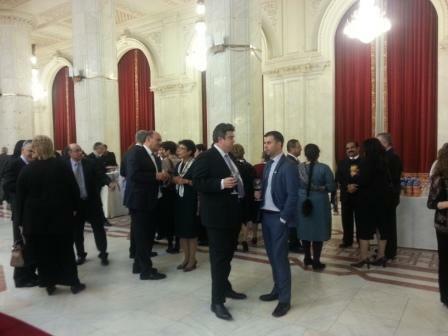 A delegation from United Arab Emirates was invited for an official visit to Romania, as a part of the large and sustained efforts from Romanian and United Arab Emirates side to further strengthen the bilateral relation and to offer a strategic dimension to the Romania-United Arab Emirates friendship. 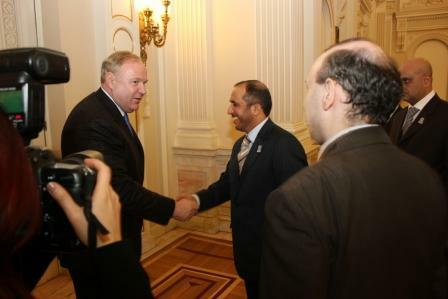 A perfect program was carved for United Arab Emirates delegation, with the support of Professor Dr. Anton Caragea, Director of Institute of International Relations and Economic Cooperation, program designed to emphasize clearly the importance of the bond connecting Romania and United Arab Emirates. 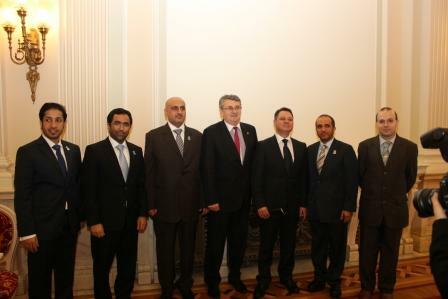 The UAE delegation was received at the highest level, special discussion being held with the President of Chamber of Deputies – Mr. Valeriu Zgonea and President of Romanian Senate-Mr. Crin Antonescu addressed a warm welcoming message to the delegation and entrusted Vice-President of Romanian Senate-Mr. Cristian Dumitrescu to express the highly degree of importance and special significance attach by Romanian side to the relation with United Arab Emirates. 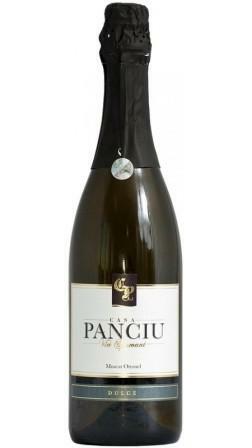 The Chairman of Economic Commission of the Senate, Mr. Lucian Iliescu had clearly marked the Romanian side desire for economic cooperation and increase in the volume of bilateral trade and the support for using Dubai-The Host of WORLD EXPO 2020 as a hub for imports and exports from Romania to enter the Golf Cooperation Council market. 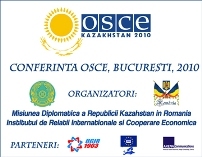 On 4 of April 2013, the United Arab Emirates delegation was honored guest in the opening of the Romanian Support Exhibition for Dubai-HOST OF WORLD EXPO 2020. The ample, successfully and perfect organized visit by the highly skilled team of UAE Embassy, lead by Ambassador Yacoub Yousef Al Hosani, was a new chapter in the developing contacts between the two governments, parliaments and people’s and a clear illustration of Romania-United Arab Emirates strong friendship. 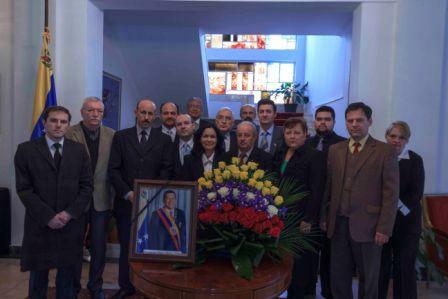 On 7 March 2013, the Embassy of Bolivarian Republic of Venezuela in Romania had hosted a ceremony in the memory of the late President of Venezuela: Hugo Chavez Frias. H.E. 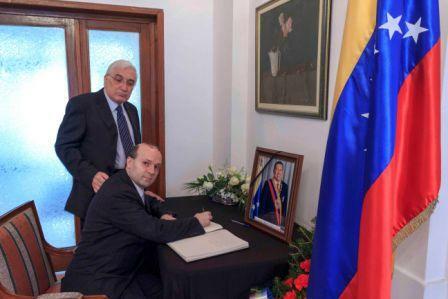 Zulay Coromoto Prieto de Rodriguez, Venezuela`s Charge d`affairs, had welcomed the foreign dignitaries and official delegation`s arrived to pay respects to the posthumous leader of Venezuela. Professor Dr. Anton Caragea, Director of Institute of International Relations and Economic Cooperation had led the romanian delegation attending the ceremonies. Professor dr. Anton Caragea expressed his regret to the passing of venezuelean leader and stated that: President Hugo Chavez has succeeded to offer to Venezuela not solely economic development and prosperity, but also equity and justice and a political and social model for all the Latin American countries. The delegation led by Professor dr. Anton Caragea has signed the Condolence Book and took part in a photograph session together with the ambassadors present at the ceremony. In the end of ceremony Professor dr. Anton Caragea, Director of Institute of International Relations and Economic Cooperation, had entrusted to H.E. Zulay Coromoto Prieto de Rodriguez , Venezuela`s Charge d`affairs, a letter of support addressed to the new President of Venezuela: Nicolas Maduro. The letter underlined romanian side conviction that: Nicolas Maduro will fulfill the Bolivarian revolution legacy and expressed the hope that Romania-Venezuela relations will register a continuous development. H.E. Zulay Coromoto Prieto de Rodriguez expressed venezuelan side appreciation for the romanian delegation attending the ceremony in memory of late President Hugo Chavez and for speedy recognition of new President of Venezuela, Mr. Nicolas Maduro and for the instrumental role played by Professor Dr. Anton Caragea in the solid development of bilateral relation in the latest years. This gesture will develop our bilateral relation further, concluded H.E. Zulay Coromoto Prieto de Rodriguez.